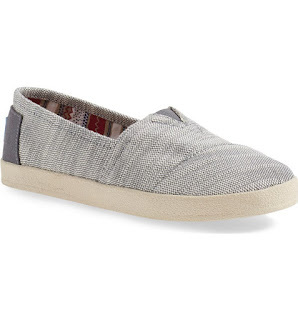 My favorite TOMS are 20% off right now! I just ordered another pair in the light gray. I love the Avalon style- they are so comfy and fit me better than the original TOMS. i love this shoe it's so cute!! !